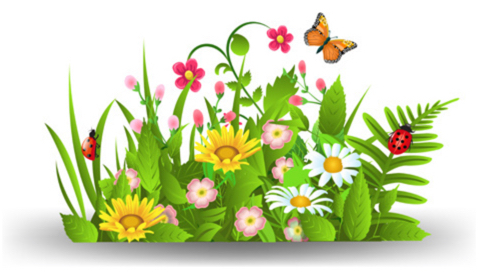 The Geneablogger Tribe has a prompt for Sympathy Saturday in which the blogger is encouraged to post about any aspect of the passing of a person. This week I’m choosing to highlight about a person who was not long on this earth and whose passing occurred on this posting date 79 years ago. He was a 1st cousin 2x removed to me. His grandmother was also my great-grandmother, Anna Marie (Karthaeuser) Repsher. That person is Charles Ward Karthaeuser. He was the son of Charles Ludwig and Carolyn (Franklin) Karthaeuser, longtime residents of Stirling, New Jersey. Charles Ward was born on 21 January 1939 in New Jersey and lived just 20 short days. His passing occurred on 10 February 1939. Charles had a younger brother named Paul, born in 1947, who I met here in Tucson a few years back. Paul related the story he wasn’t told that he had an older brother until he himself was around sixteen years old. 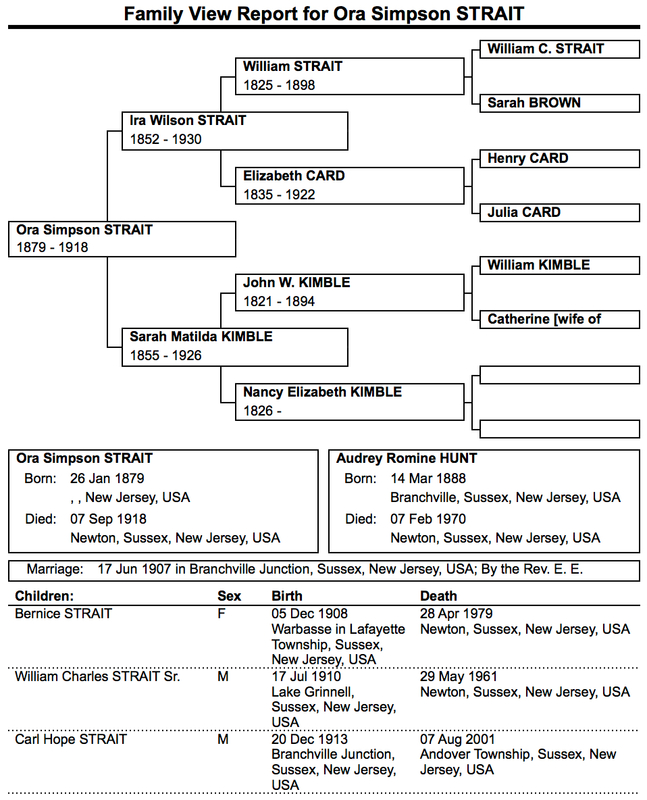 A quick search of Ancestry, FamilySearch, Find a Grave, and Newspapers.com turns up no results for Charles. With such a short life, it’s not surprising that few records, if any, exist. So, that’s my short post on Sympathy Saturday for this week. The prompt for this week calls on the Geneabloggers Tribe to feature family heirlooms or objects of emotional significance. We’re not a rich family so don’t expect paintings by famous artists, gem-studded jewelry, or massive pieces of antique furniture to show up here. Just some humble mementos of times gone by and people long gone. I would like to share with you a pair of salt and pepper shakers. They belonged to William Henry Hunt who served in the Civil War. Even though they are inscribed with “Gettysburg 1863” he purchased these while on a 1908 trip back to Pennsylvania to visit Gettysburg. They are the King’s Crown style of vintage glassware with a dark ruby stain to them. There are a few small scratches here and there to the ruby stain but, considering they are now over 100 years old, are still in excellent shape. The screw-on tops are made of pewter and have no dents. It looks like someone opened the holes a bit more (probably the salt shaker) on one of the tops but not to the point of making the top look ratty. The cut glass at the bottom is intact and has no chips. 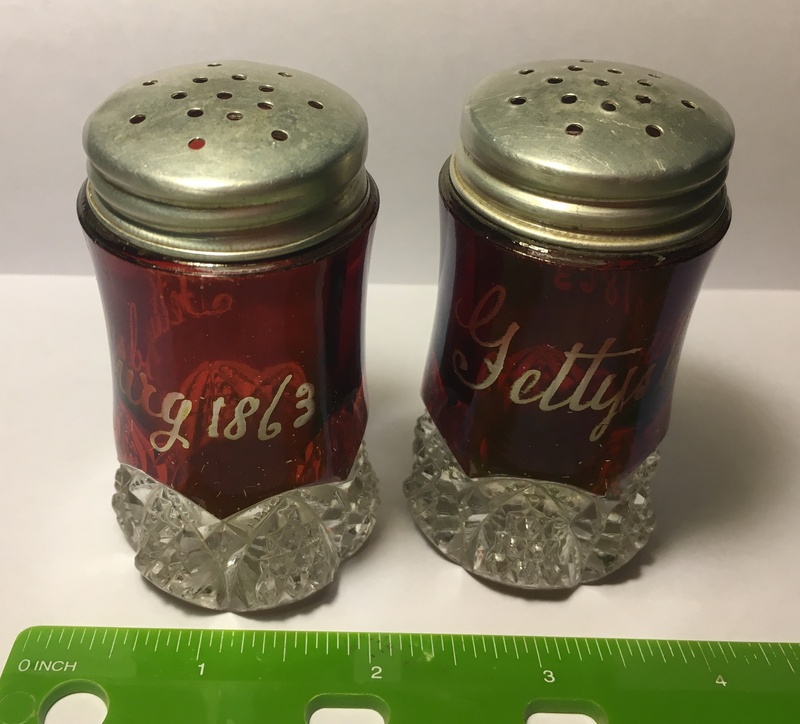 The salt and pepper shakers were handed down from William’s wife Hannah to their daughter Audrey to her daughter-in-law Beatrice who handed them down to her grand-daughter, Jodi Lynn Strait. This week’s prompt is to display some old wedding photos or scan some wedding invitations and announcements. I have some of those that I can share over the coming weeks. Even though my parents were divorced in 1980, I’d like to share their wedding invitation. I reserve the right to post photos of my mom in her wedding dress later in the year. 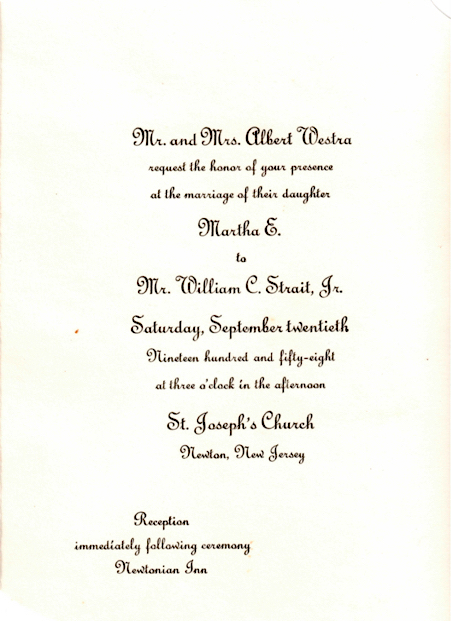 This is the invitation to the wedding of my parents: William Charles Strait, Jr. and Martha Ethel Westra. 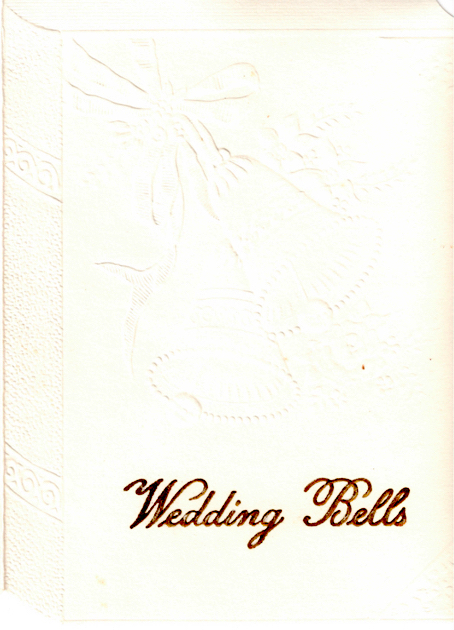 The front of the cream-colored invitation is embossed (raised up in relief) with the image of wedding bells tied with a ribbon along with embossed lettering at the bottom right. The invitation is cut to look like a book or a bible. The inside of the invitation has all the pertinent information to get the wedding couple and their invited guests to the church on time. They were married in St. Joseph’s Roman Catholic Church on Halsted Street in Newton, New Jersey. Martha’s father is Albert Westra. They were married on a Saturday, September 20th in 1958 at 3 o’clock in the afternoon. Their reception was held at the Newtonian Inn (now the Hampton Diner) on Route 94 in Newton. For those of you who are curious: No, I never ever use my mother’s maiden name on any security questions that websites may ask you to answer. Even if I didn’t have her maiden name on this blogpost, it’s just way too easy to find out information like that online nowadays. There you have it. A wedding invitation in response to this week’s Wedding Wednesday prompt. 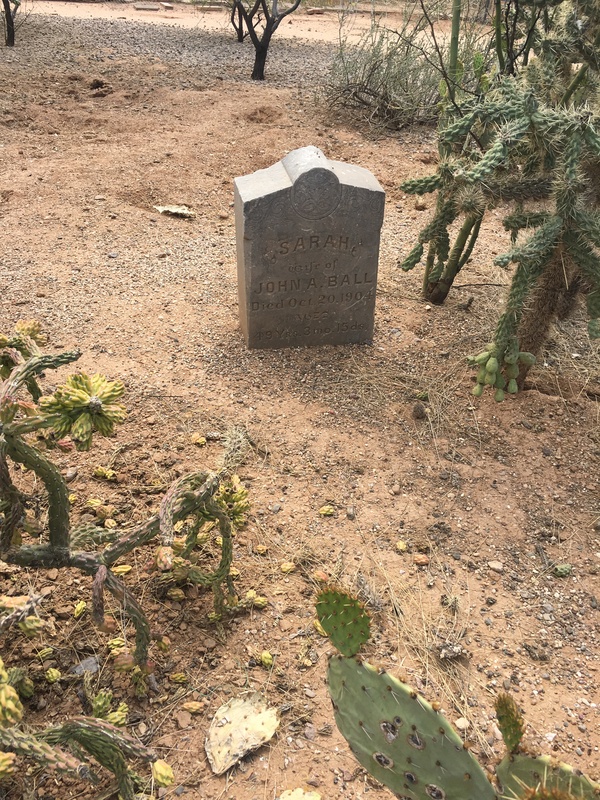 This prompt is for Tombstone Tuesday and is exactly what it sounds like. I’ll be sharing a family tombstone with you. The tombstone below is for Susanna (Bellesfield or Bellesfelt or Belles) Williams who was my 4th great-grandmother. 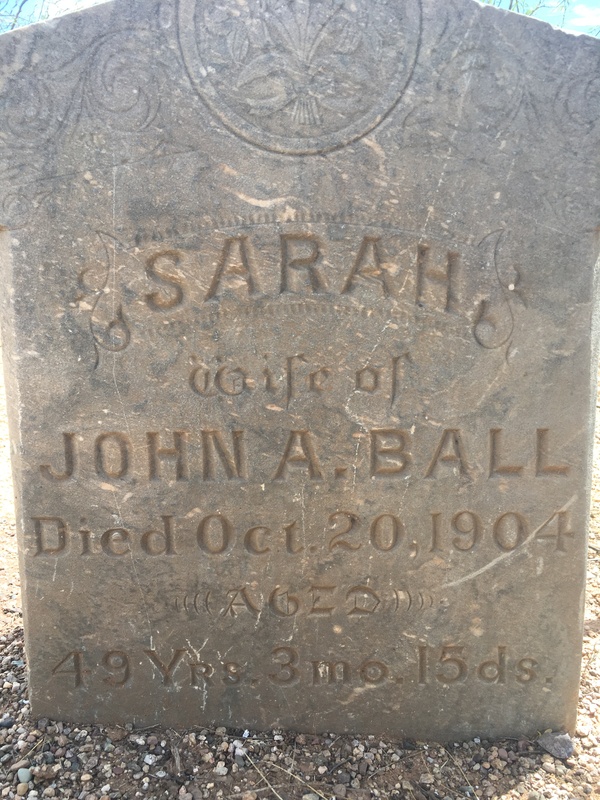 Her marker is a beautiful gray color and has what is called, in the monument business, a half round shape. I can discern no decorative carving on the marker at the top. Susanna’s tombstone is located at a rural church called St. John’s which is an Evangelical Congregational Church. I believe this church was also known as Custard’s Church. The church is still active today and the cemetery seems to be well-maintained based on the pictures found at Find A Grave. There is some sort of saying at the bottom of the tombstone that is not possible to make out from the picture alone. Besides the lettering being slightly filled in by mold/lichen growth, the bottom of the saying is obscured by grass and leaves. I am curious if seeing the stone in person would help with reading the saying or if age/weathering has done it in. I would also like to see where her husband Joseph’s marker  is in relation to Susanna’s marker. Find A Grave is a treasure for pictures of tombstones within a cemetery but not so much for the physical locations in the cemetery itself. Perhaps some exploration of this cemetery on my next research trip? I like that someone, possibly a family member or the church itself, took the time to fix the tombstone. 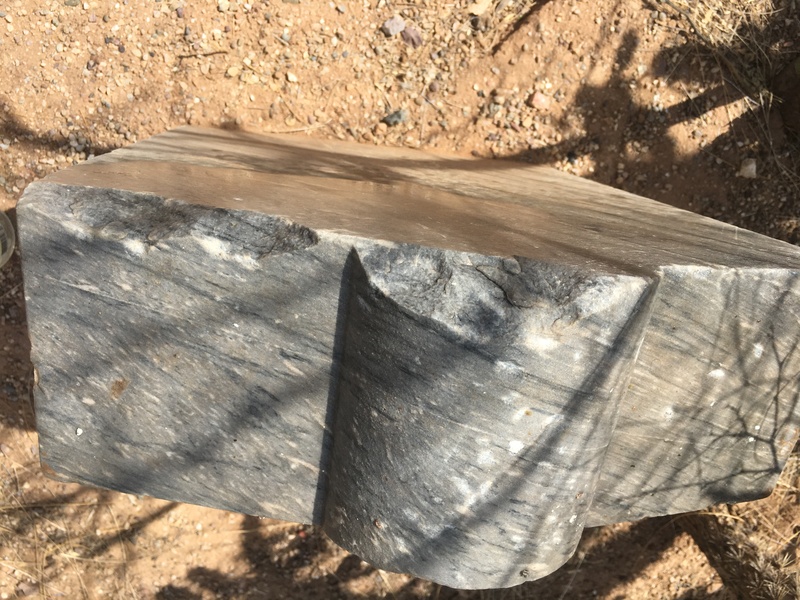 So many times, broken tombstones are left to the elements, vandalized, or just removed when a cemetery is moved for a dam or reservoir. I like that the lettering on it is still fairly legible given its age of almost 150 years, assuming it was placed in 1869. 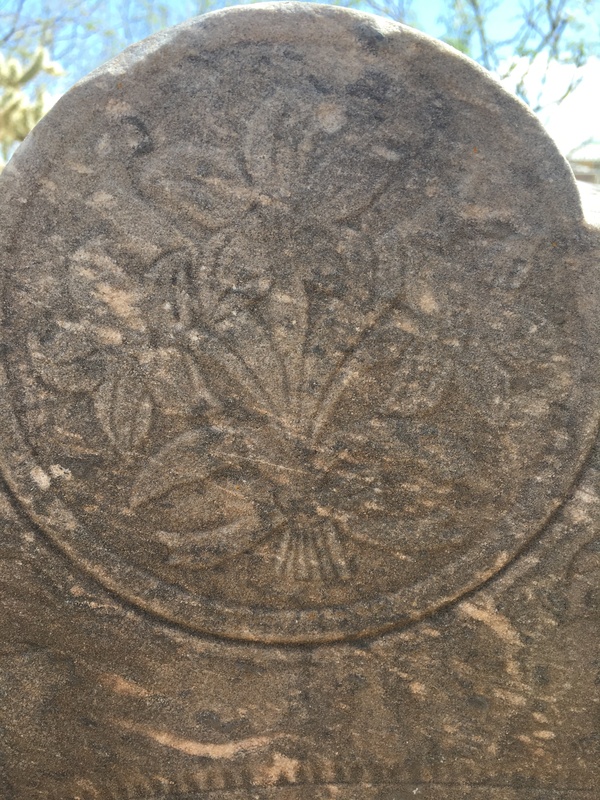 I like that Susanna’s birth and death dates are consistent with the years, months and days also on the stone. 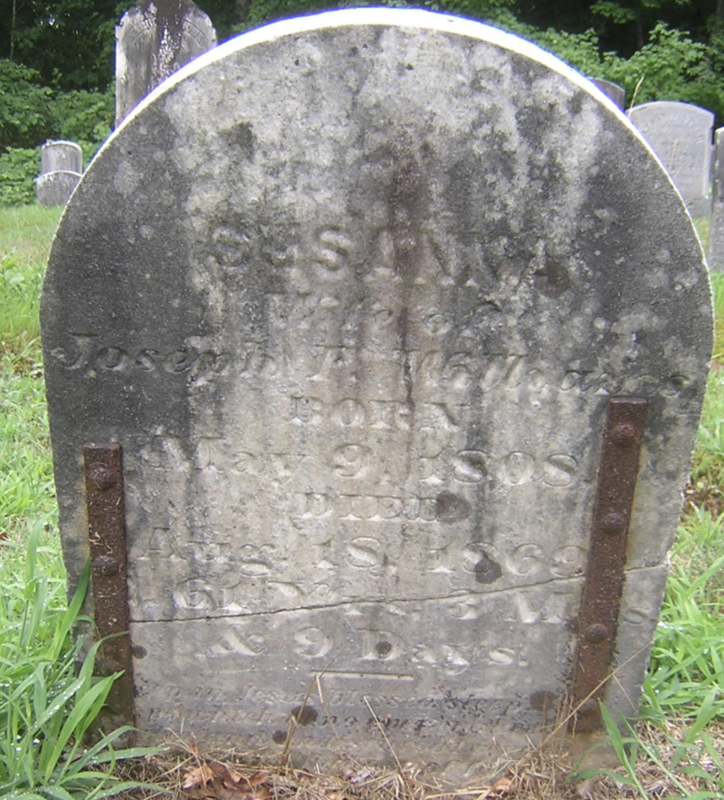 And that’s this Tuesday’s prompt… Glad to have Susanna’s tombstone in the family collection. Tipton, Jim, compiler, “St. John’s Cemetery,” digital image, Find A Grave (http://www.findagrave.com : accessed 03 April 2017), entry for Susanna Williams, memorial #93923843. Tipton, Jim, compiler, “St. 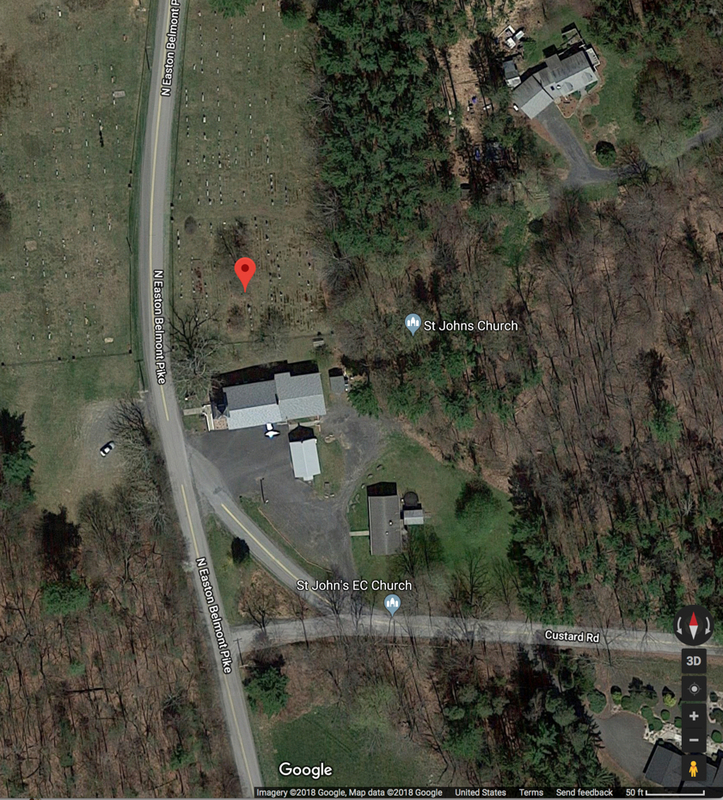 John’s Cemetery,” digital image, Find A Grave (http://www.findagrave.com : accessed 03 April 2017), entry for Joseph Williams, memorial #93923929. Welcome to the first post of my 2018 project! An amanuensis is a person whose job is to write down what another person says or to copy what another person has written. This particular Monday prompt is designed to encourage bloggers to transcribe family letters, journals, audiotapes, and other historical artifacts. I think this postcard fits into either the letter or the historical artifacts category. The front of the postcard has a view of some distinctive buildings, very German looking. There is also a fountain in the foreground on the left. Bernkastel-Kues is a city that is split into two by the Moselle River. 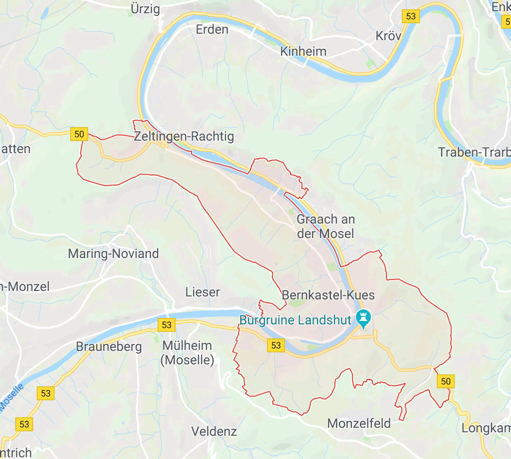 Bernkastel is to the east of the river and Kues is to the west. It is a well-known wine-growing center on the Middle Moselle in the Bernkastel-Wittlich district in Rhineland-Palatinate, Germany. 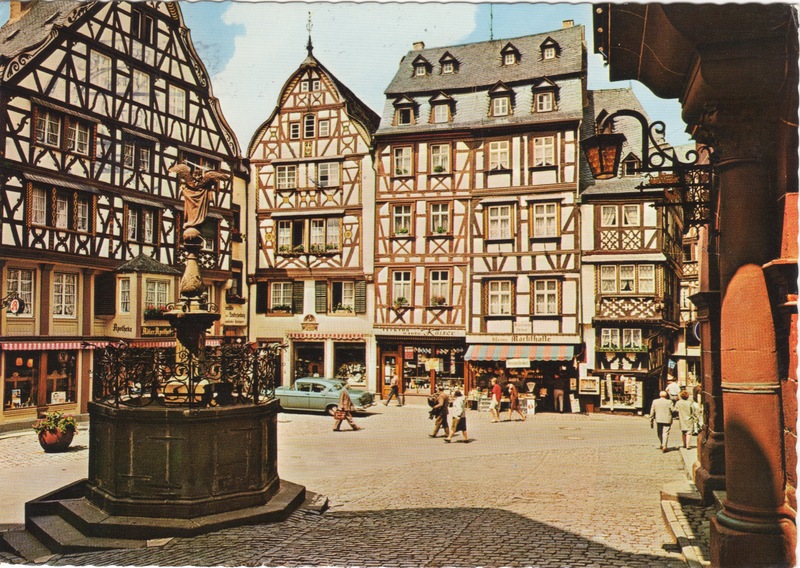 One of the major attractions, and subject of the postcard, is the medieval marketplace surrounded by spectacular gabled timber-frame houses from the 17th century and earlier. The fountain in the foreground of the postcard picture is called St. Michaelsbrunnen or St. Michael’s fountain. 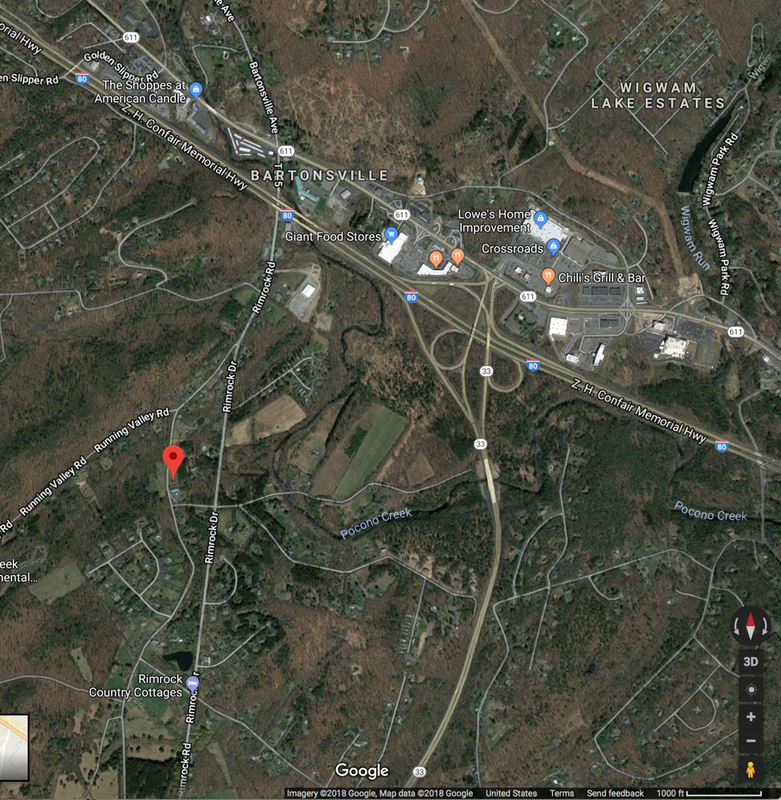 Google maps has the a view of the city with the castle marked on the river bank at a significant bend. The castle Burgruine Landshut, built in 1277, burned in 1692 and is now just a ruin. I see that the 50 pfg (=fennig, a German penny) postage stamp, picturing a radio telescope, on the back is from a 1975 German series on industry and technology. This matches with the cancellation date of 08 June 1976. Hi Folks, I’m having a wonderful time. We have getting [sic] around every minute seeing the sights. We go to London on a five day tour Wednesday. I’ve seen two castles already. They are something. Love, Bernice. One could use this information to track down deeds to the Scabet’s house on Lincoln Place. One would know not to look for any death record for Bernice before early June of 1976. One could look for 1976 passenger manifests in which Bernice Wood appears. It didn’t really add anything to my family tree. 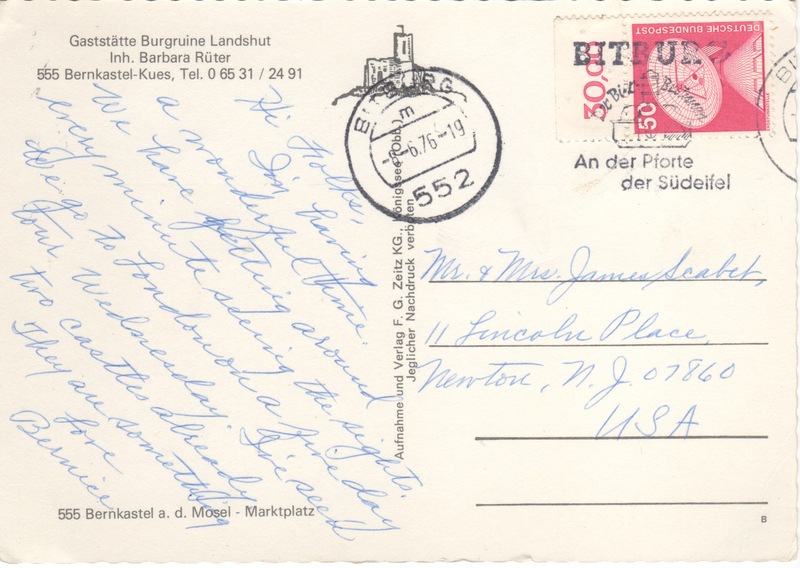 I just like it for being interesting postcard and enjoyed the little bit of research I did for this blog to find out about Bernkastel-Kues. And I did transcribe a familial historical artifact, the point of the prompt for this week!